Veterans Day is Sunday, November 11, 2018 and if you are a veterans or actively serving the country… thank you for your service. Here is where you can receive a free meal, free fun, and more soon. Keep in mind that many offers are for dine-in only and gratuity and tax is not included, so make sure to bring a little money with you along with proper ID. Applebee’s: Free signature select entrée for veterans and active military all day on Veterans day, dine-in only. Chili’s: Active Military and Veterans will receive a free meal off a select menu on Veteran’s Day for dine-in only. Denny’s: Free build your own grand slam breakfast from 5am to noon on November 12, 2018! Olive Garden: Free meal for Veterans and current service members from select menu on Veterans Day. Red Robin: Free tavern burger with bottomless fries on Veterans Day with proof of service. Zoo New England: Veterans and active military can receive free admission to the Franklin Park Zoo and Stone Zoo on November 10-12, 2018! Free Entrance Day at National Parks: Everyone can get free entrance at National Parks across the nation in honor of Veterans Day! 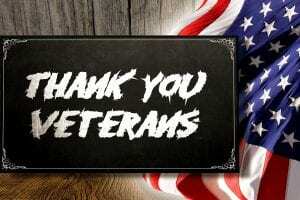 Thank you so much to our active military, veterans, and families for all you do and continue to do for this country. Please let me know in the comments below if I missed any free meals or great deals that are available in the Greater Boston area. Thanks!